October 21 witnesses the beginning of joint Anti-Terror Military Training Exercise between Russia and Pakistan namely Druzhba, a Slavic word translated into “Friendship”. This 15-day training is third in the series of anti-terror exercises between the two countries since 2016. Lasting till November 4, the location is the National Counter Terrorism Center in Pabbi, a Tehsil of Khyber Pakhtoonkhuwa, Nowshera District at the altitude of 1.4 thousand meters above sea level. It is believed that the exercises aim at the destruction of terrorists being termed as conditional fighters. These exercises are part of Pak-Russia bilateral training cooperation. This trend of joint exercises began after the two countries inked a defence agreement regarding the training of Pakistani troops in Russia. The “friendship” drills are indicative of the fact that the relations between the two countries have transcended beyond the Cold War frictional phase. Turn in the relations owes a to a number of factors specifically the deteriorating relations between the US and Pakistan, which caused Pakistan to move further closer to China and explore an option in Russia too. While China has always remained Pakistan’s most time tested friend covering all spheres of bilateral relations: security, defence, economic, as well as diplomatic sectors, Russia is fast becoming a dependable country for Pakistan in the economic and defence sectors. Pakistan is specifically keen to build defence ties with Russia wherein the latter has over the past three years provided four Mi-35M combat and cargo helicopters to Pakistan. Last year also marked the success of 70 year diplomatic ties between the two states. Today the converging geopolitical and geostrategic interests are a driving force in bringing the two closer. Another reason for the thaw in relations is the growing strategic India-US partnership and converging interests regarding the peace process in Afghanistan. Traditionally, Russia has enjoyed strong relations with India but on the heels of its diminishing strategic trade ties, opening came for Pak-Russia strategic relations in 2014 when Defence Cooperation Agreement was signed during the visit of the Russian Defence Minister Sergei Shoigu. 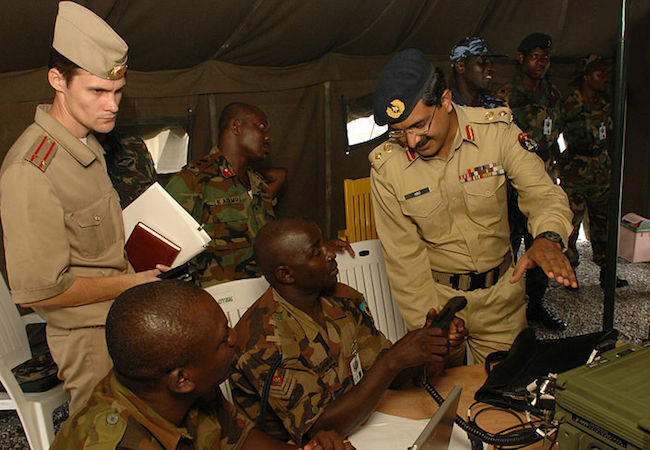 The agreement provided the exchange of information on politico-military issues; cooperation for promoting international security; intensification of counter terrorism and arms control activities; strengthening collaboration in various military fields, including education, medicine, history, topography, hydrography, culture; and sharing experiences in peacekeeping operations. Next year in 2015 Russia lifted self-imposed embargo on Pakistan and agreed to sell Mi-35M attack helicopters to Pakistan, and J-F 17 Thunder fighter planes. Pakistan has also shown interest in buying S-400 missile defense system. In addition, both states are also negotiating a deal on Su-35 and Su-37 fighter jets. Probable defence cooperation for procurement of sophisticated arms by Pakistan including T90 Tanks, air defence systems and fighter planes is also under pipeline. If these proposals are materialized, there is a hope that acquisition of military gear from Russia will open up new military avenues between the two states. Last year in February, Russian navy’s largest anti-submarine warfare ship Severomorsk also arrived in Pakistan to take part in the Aman 2017 international naval exercises. In the wake of common views on countering threat of terrorism and extremism in the region both countries are specifically keen to enhance military to military relations and have now been conducting regular military exercises codenamed “Druzhba” for last three consecutive years. The starting point for the joint military drills came about in the wake of terrorist activities by a branch of Islamic State (IS) known as Khorasan Province (ISK-P) in 2016. It was found to be operating from bases along the border districts of Afghanistan. Hence it became the much needed imperative for both Russia and Pakistan to collectively take measures against the common threat of ISK-P. Not only Pakistan has been facing terrorist attacks emanating from Afghanistan on its western border, but Russia also feels threatened with the volatile situation in Afghanistan and hence is especially interested in contributing to the Afghan Peace Process. Middle Eastern based terrorist groups are able to exploit the situation in Afghanistan, carrying out their terrorist activities in the adjacent countries including Central Asia, making Russia feel increasingly wary of its regional security interests. Hence Afghanistan offers a lot of common grounds for both Russia and Pakistan where they could join hands for mutual as well as larger regional and global interests. Similarly the SCO is another platform through which both states can improve bi-lateral security and strategic ties, with special focus on terrorism, drug-trafficking and cyber security.According to Russian President Vladimir Putin, linking the SCO with the Eurasian Economic Union, the Belt and Road, and the Association of Southeast Asian Nations could “build the foundation for a larger Eurasian partnership.” In addition to this, Russia being friends both with India and Pakistan can employ the platform of the SCO to act as a mediator between the two. Pakistan is also interested in signing a free trade agreement with the Russia-led Eurasian Economic Union (EEU). There is a huge untapped potential for bilateral cooperation in all spheres between Russia and Pakistan. The countries have a shared interest in collectively addressing some of these important challenges, including countering terrorism, drug trade and bringing stability in Afghanistan. Although Pakistan-Russia strategic, military, and defence relations are in the nascent stage, in the wake of changing geopolitical environment, both countries can work out their past for greater cooperation, collaboration, security and peace. Specifically in this context, the joint military drills and Druzhba exercises hold great significance for both Pakistan and Moscow in enhancing cooperation in counter-terrorism operations, hostage liberation, and search and rescue operations.